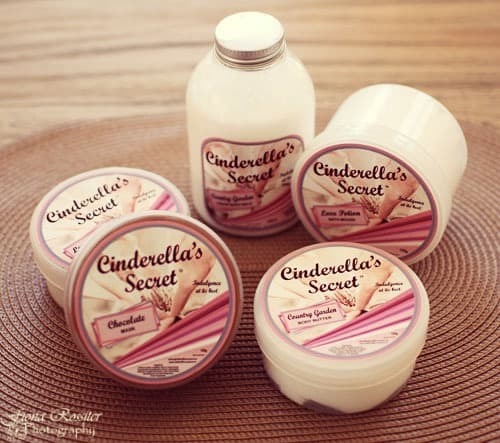 I was recenlty sent a hamper from Cinderella’s Secret to review. 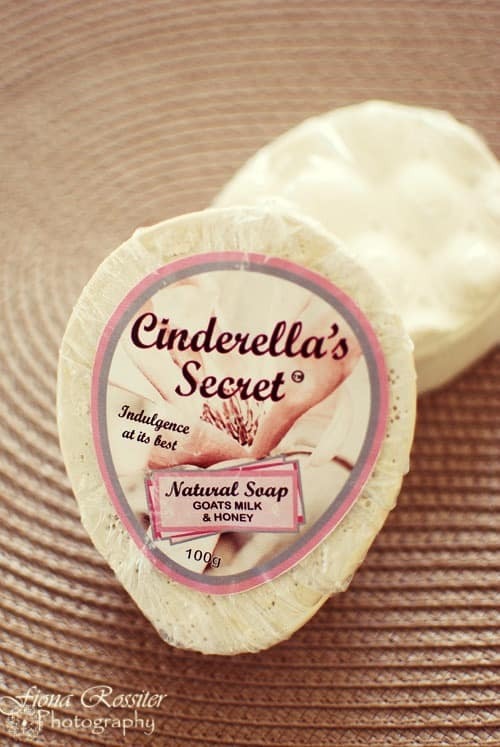 Their extensive range of beauty and pamper products are aimed at making each woman feel like the princess she really is! As you know I love trying out and reviewing face masks, my favourite masks are usually clay based but I am always keen to try something different! 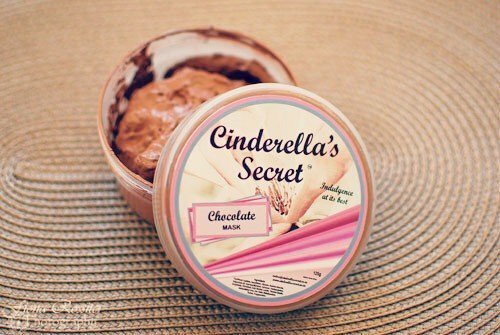 This mask smells and looks exactly like chocolate mousse and that is exactly what it feels like on your skin. It does not dry or set on your face, so I would classify this as a purely hydrating mask. 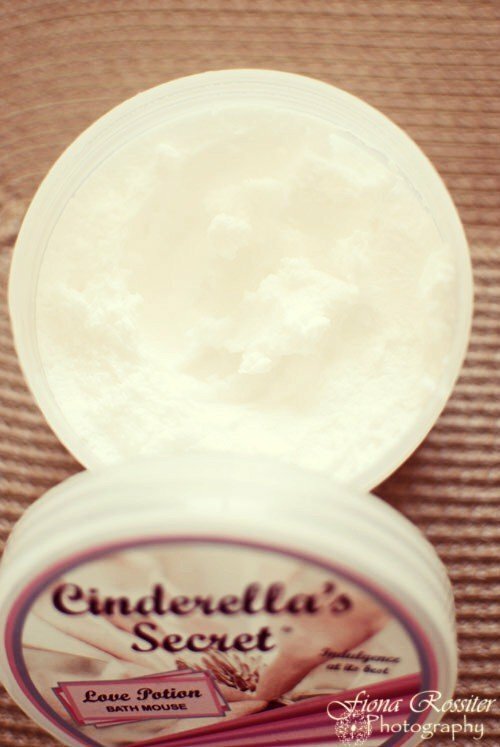 It smells lovely and leaves your skin feeling soft and smooth. I have loved using this scrub! I usually use a body scrub once or twice a week when I shower but I really do not like scrubs, which leave your skin feeling sticky after applying them. The Love Potion scrub has a creamy texture and contains a fine exfoliant and it is not too abrasive. It leaves your skin feeling refreshed and hydrated. It has a delicate fragrance, which I really prefer in a scrub and is not at all astringent. I do prefer using a body butter as opposed to a body lotion, especially after shaving my legs, as the thicker texture is way more nourishing for your skin. The Country Garden Butter also has a delicate feminine fragrance and although I loved the creamy texture when applied, I did find that my skin felt a bit sticky as the day wore on. I think this would be a great product to use at night, before bed and after a long soak in the bath! 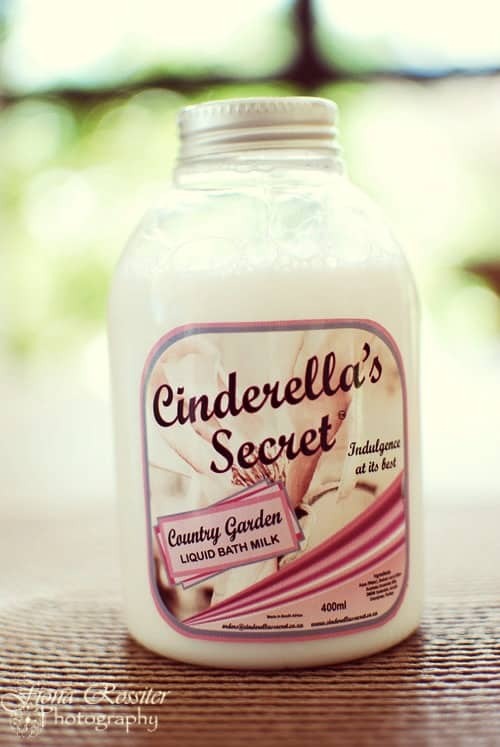 I am usually a bubble bath gal but I have really enjoyed using this Liquid Bath Milk! It really softens the bath water and smells heavenly. Definitely one of my favourite products out of the range I tried. I must be honest I have only tried this product once. I do not bath that often – I prefer to shower, simply because it’s quicker but I did enjoy the way my skin felt after using it. I also received two natural soaps which also smell great and I love the fact that they are natural! My favourite is the Goats Milk & Honey! 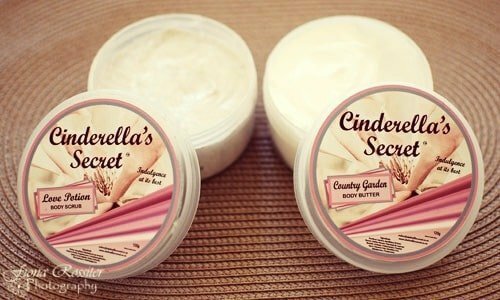 You can contact Cinderella’s Secret or place orders via email renette@cinderellassecret.co.za or on their Facebook Page. Disclaimer: Theses products were sent to me for review purposes but all opinions expressed are my own.